Two additional days are required for hard case book binding. We offer our clients high quality offset/digital book printing and book binding services in Delhi and India at the most competitive Rates. 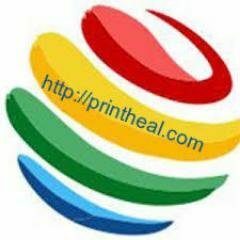 Experienced man-power, specialized machines and cutting-edge technologies help us reach new horizons with our superb book Printing and binding process.Our Services whatever your book printing and book binding requirements, print heal Book Printers, located in Okhla Industrial Area Delhi, will provide an efficient, priced service to meet your needs. Whether the print run is large or small, whether your product is a slender soft-back or a thick hard-back, whether it’s saddle-stitched, perfect bound, or spiral bound, our skilled team will deliver high quality offset/digital book printing and book binding solutions to Deadline and to budget.